The stress of acing at exams and making parents proud has been with students for probably when they begin middle school. If you have ever flunked in your finals, you know what we’re referring to. Log kia kahengay? This statement has certainly ended many. Although, this stress doesn’t only come with the responsibility of making your parents proud. It also comes with the fact that teachers, school, colleges, and universities forget that the students are there for learning and they are thrown in the pit of the constant struggle to combat with the process of achieving decent grades. 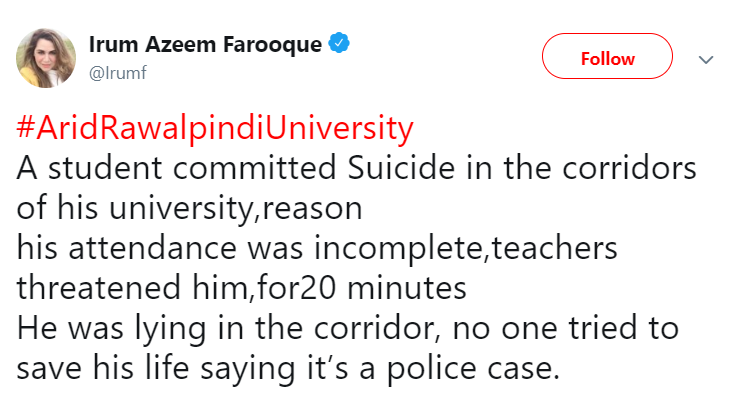 Ending your lives due to a failure in exams have now become so common that we have become immune to them and end up feeling sorry for the loss. 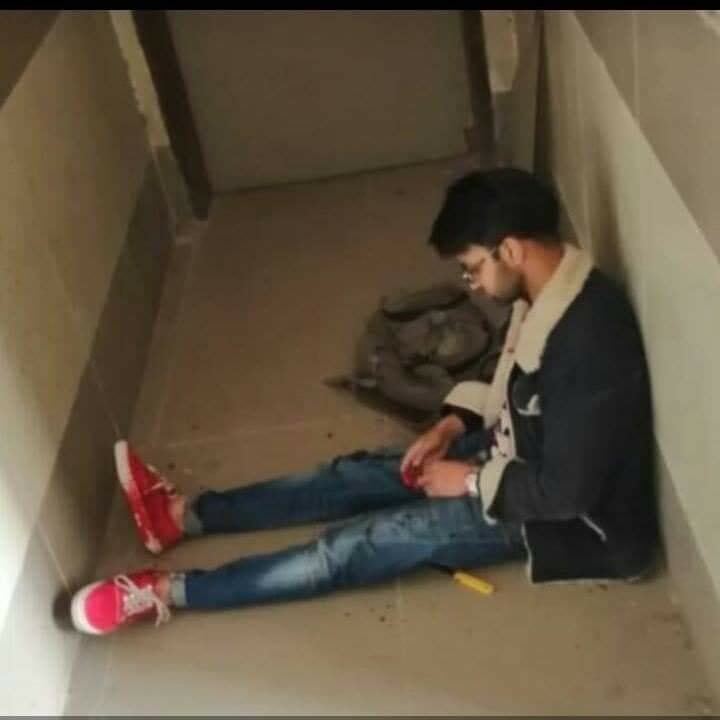 Endling your own life is now quite normal among Pakistani students and is on the rise which is just plain sad! 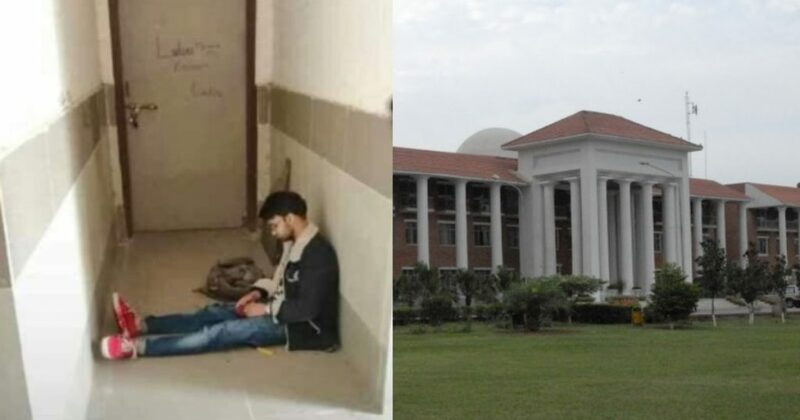 Recently, a student of Arid University Rawalpindi DVM Department has attempted to end his life in the department following academic pressure and stress of an added semester by a teacher who had personal grudges with him. This user stated that the teachers shouldn’t be blamed. Life is more precious than Police’s case, medication must come first the rest should be a legal process in the long run. Shame not upon dean or faculty,he had a valid reason but shame on us, students following imaginary tactics of movies. What the hell has gone wrong with our youth? Shocking. They are more than 50 PC of population. Mobile, fashion, gf , emotional instability that’s all about them these days. There’s no further information about the incident and as soon as we get updates, it will be shared. Till then, if you have anything to add to this story, let us know!